Romanian Agency for Saving Human Lifes on the Sea (ARSVOM). 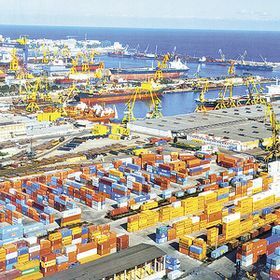 Address: Romania, Constanta, Premises of the Port Constanta, berth 2-3 and berth 78, post code 8700. Phone: +40241616111; Fax +402416161111, General Director: Mr.VOICU Ion . Romanian Merchant Marine Training Centre (CCEMMP): website. Address: Romania, Constanta county, Pescarilor St., No. 69. Phone: +40241639595; Fax: +40241631415. General Director: Mr. POPA Dorel. Romanian Naval Authority (ANR): website. Address: Romania, Constanta county, Constanta, Premises of the Port Constanta, No. 1, post code 8700. Phone: +40241555676; Fax: +40341730349. General Director: Mr. BRANZA Paul. National Company "Maritime Ports Administration - Constanta" S.A.: website. Address: Romania, Constanta county, Constanta, Premises of the Port Constanta, post code 8700. Phone: +40241611540; +40241601123; Fax: +40241619512. General Director: Mr. BALAN Ioan. National Company "Waterway Administration" S.A. Constanta: website. Address: Romania, Constanta county, Constanta, St. Ecluzei Agigea, No.1, post code 8700. Phone: +40241737711; +40241738505; Fax: +40241737711; +40241738597; +40241738045. General Director: Mr. ZEICU Ilie Valentin. National Company for Naval Radio Communications "RADIONAV" S.A. Constanta: website. Address: Romania, Constanta county, Constanta, port enclosures, post code 8700. Phone: +40241602780; Fax: +40241602789. General Director: Mr. STANCULESCU Vlad. "River Administration of the Lower Danube - Galati" R.A.: website. Address: Romania, Galati county, Galati, Portului St., No.30, post code 6200. Phone: +40236460812; +40236460526; Fax: +40236460847. General Director: Mr. UZUMTOMA Florin. National Company "Maritime Danube Ports Administration" S.A. Galati: website. Address: Romania, Galati county, Galati, Portului St., No.34, post code 6200. Phone: +40236460660; +40236460072; Fax: +40236460140. General Director: Mr. OCHIALBESCU Mihai. National Company "River Danube Ports Administration" S.A. Giurgiu: website. Address: Romania, Giurgiu county, Giurgiu, Portului St., No.1, post code 8375. Phone: +40246213003; +40246214820; +40246211528; Fax: +40246218220; +40213110521. General Director: Mr. NEMTESCU Cristian.